There seems to be some interest building on the forums (GTROC UK in particular) with respect to the DFVs for use on second generation GT-Rs. Now, I’m no suspension expert, and with the GT-R I’ve only had the stock, the Nismo S-Tunes, and now the DFVs, so obviously have very little experience in making comparisons, but at least here are my impressions. Simply put, these are amazing! Could immediately tell the difference in ride quality. It's very firm - more so than the S-tunes - but at the same time, the ride is really, really smooth! The dual valve setup really does a great job - it's unbelievable how the tires can now soak up all the minor imperfections in the road, but at the same time, I feel even more planted on the road than before. The initial setting was in the middle (I think 12 of 20), and was just about perfect for me. Just to see what would happen - I turned down the setting to the softest setting (1 of 20) - it got soft, but not too soft. I'd say it would be really comfortable on the freeway, so would be good for long distances I think. Middle would be satisfying on a mountain road - I suspect the hardest setting would be very good during the trackday. With the S-tunes - they had 5 clicks of adjustability - the difference upon adjusting was noticeable, but not to this extent. Even my passenger (guy visiting from Finland) could tell the difference immediately. Interestingly, the steering now has more feedback than before. Remember how I complained that it felt somewhat numb on center? 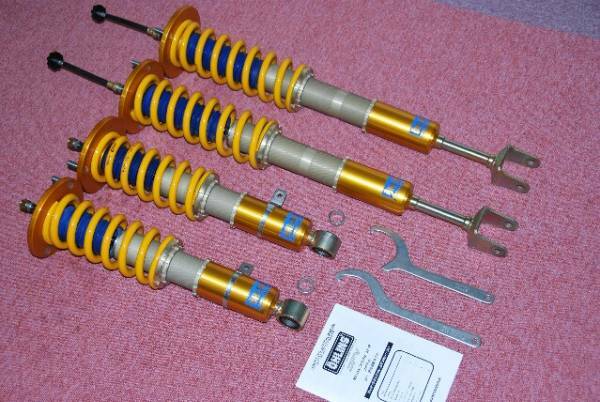 With these fitted, I FEEL a lot more of the road, the steering is much more communicative. A difference of 4kgs up front, and 7kgs in the rear! 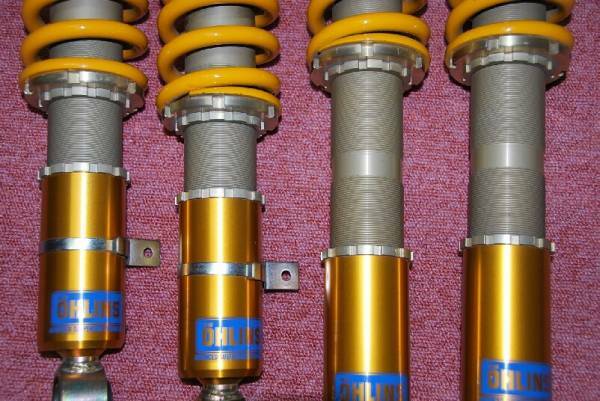 So I am wondering if the lightweight construction of the Ohlins result in better handling and feel. It's going to be interesting to see how a lightweight wheel (the RE30s) interact with these DFVs, at their hardest setting. Stay tuned for my report from the trackday at Fuji Speedway, as I'll recount my on track impressions with the DFV/RE30/S-tire combo! I have some Ohlin's flag r on my 33 too. Just wondering what height you are running at the moment. BTW your are not alone the r33 is in my humble opinion the best. I am in Toyama. Nearest good track is Takasu. Keep up the interesting blog. 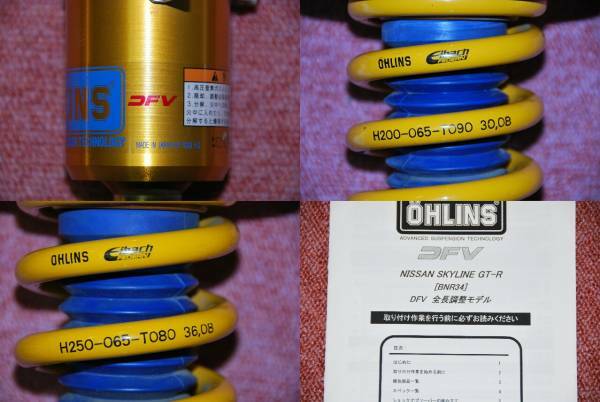 and Did ohlins dfv for bnr34 fit in bcnr33 right ?_?